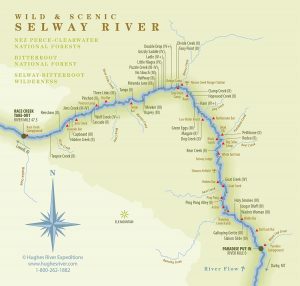 5 or 6 Day Selway River Trip Details. Pre Trip Meeting Location: Double Tree by Hilton Hotel. 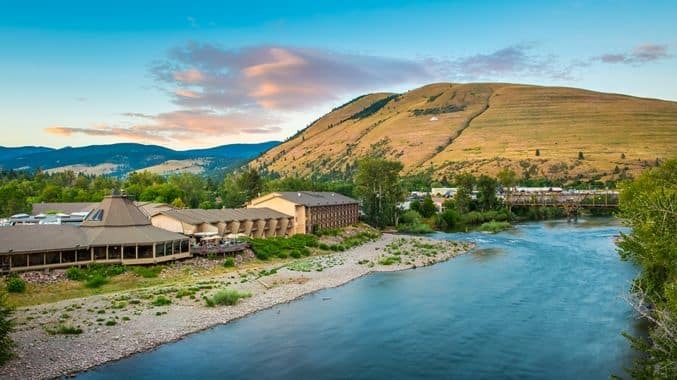 Our guests stay at the Double Tree by Hilton in in Missoula, MT for the Selway river. 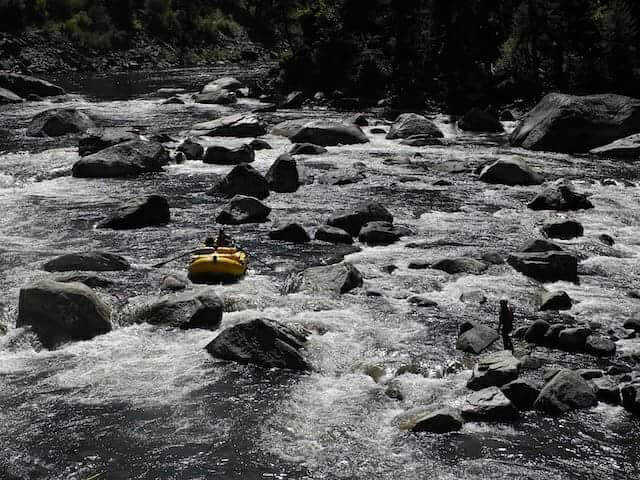 We recommend making reservations at the Double Tree by Hilton at the same time you reserve spaces on your river trip. Let them know you are traveling with Hughes River Expeditions. Fly to Missoula International Airport (MSO). included in the trip price. Plan to pay the pilots at the time of the flight (credit card or cash). We line up the flights. July dates sometimes require flights due to low water flows. Early afternoon the last day, we takeout at Race Creek about three miles above Selway Falls & 20 miles above the Confluence of the Selway and Lochsa Rivers. From takeout, we provide bus transportation back to Missoula & the Double Tree by Hilton. 140 miles and about 2.5 hours driving time. Plan to arrive in Missoula about 5:00 p.m. The Selway is a “blue ribbon” Westslope Cutthroat Trout fishery. Fishing is normally good from Late June to early August. Regulations are ‘catch and release’. Only artificial flies and lures with single barbless hooks are allowed. No bait fishing is allowed. We flatten the barbs with pliers on conventional hooks to conform to the rules. Recommended fly patterns include: Bucktailed Caddis, Adams, Renegade, Irresistible, Humpy, Goofus, Sofa Pillow, Royal Wolff, Stimulator, Hopper, etc. in medium sizes (#12, #16, …) You can purchase an Idaho fishing license and tackle from the Bob Wards in Missoula, MT or Hamilton, MT on the way to the river. You can also purchase an Idaho fishing license directly from Idaho Fish & Game Dept. ( 800-554-8685 OR www.state.ID.US/Fishgame ) Cost is $12.75 for the 1st day, and $6/day for each additional day. Juniors (14-17 years of age) can purchase a junior fishing license for $13.75/teen/season. Children under 14 can fish on a license of an adult parent. You can leave your vehicles at the Double Tree by Hilton in Missoula for the duration of the trip. For increased security of luggage if needed you can store this at our Lolo, MT HQ location. The Selway begins at 3500 feet. Typically, days are hot and nights are cool. Study our Gear List carefully, and call the office with questions. Weather in the Central Idaho Mountains is very unpredictable, and you need to be well-prepared. Gratuities are shared among the crew, and typical tips are 10% to 20% of trip fare. Gratuities play a major role in the lives of our guides, who we expect to provide excellent service for your experience. Please remember to tip consistently with their performance. Thank you and team for a fantastic trip! The EuroCraft (inflatable kayaks) were tops, and enjoyed meeting your son, he put me on some nice fishing, and drew a great line over Earthquake rock, although I hit the rock solid, Aaron was there to insure I made it back into the EuroCraft and enjoy the next set. 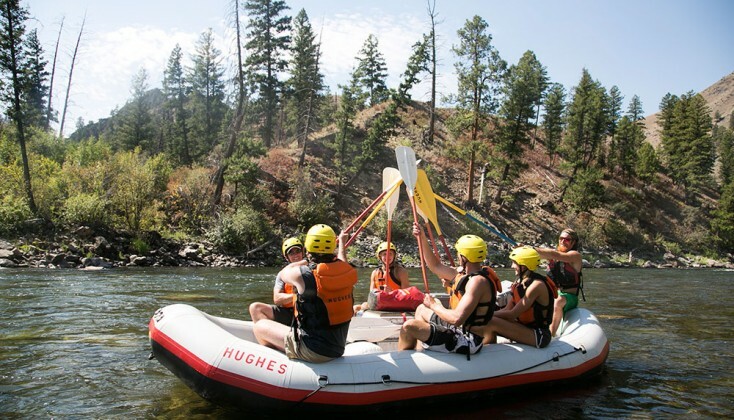 Let the river team know they were great and made for a relaxed and fun camp atmosphere. This is the coolest video ever – thanks for bringing back the memories – such an incredible trip – I think we should do it every year. Thanks Jack – really special – miss it already! 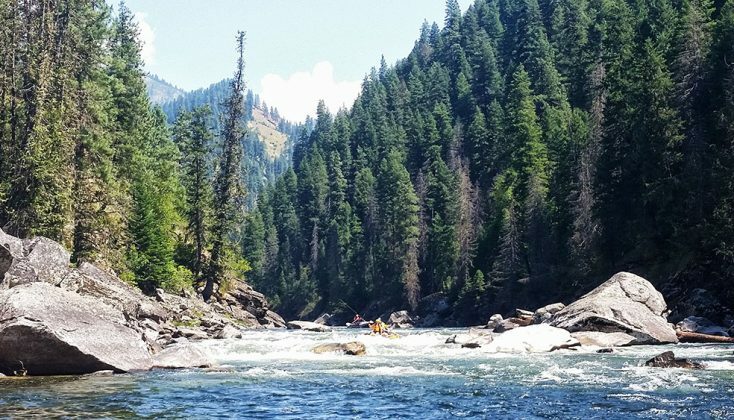 Thank you for a wonderful raft trip on the Wallowa-Grande Ronde last June. We all had a great time and look forward to doing it again. I want to thank you for a great time on the river! It was a fantastic experience for me! 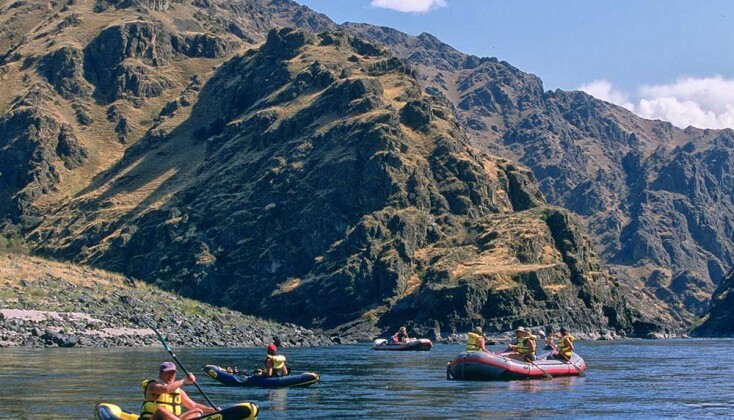 It turned out to be all that I expected,…and much more!…I am planning on returning next year with my family!… I think the Salmon River Canyon trip, same as we just took with Capital associates, would be perfect for us. Another wonderful trip with the Hughes Crew….We’re already planning next year. I have to compliment you on the most amazing group of employees – they are absolutely wonderful… We’ll see you next season. It was a great trip that was enjoyed by all. I am still getting thank you emails. We will stay in touch. 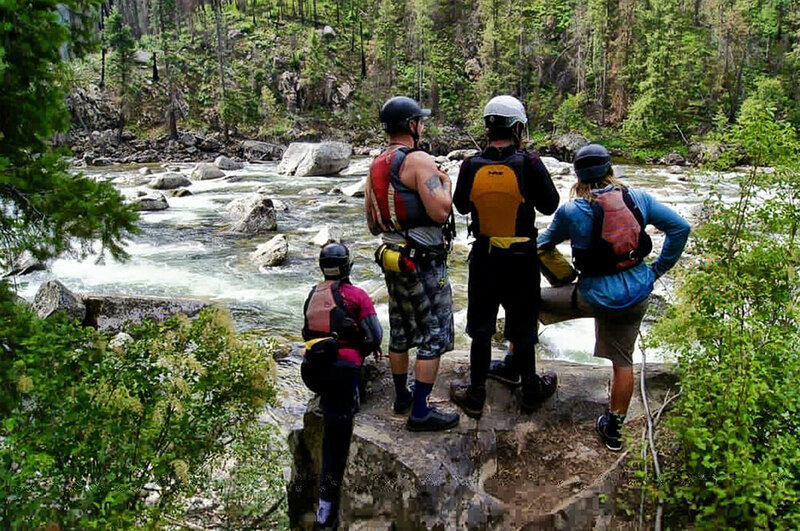 Thanks so much for a great trip down the Middle Fork! Please relay my gratitude to all the guides who worked so hard on this trip. The rafting was wonderful as was the food and friendship. Sean and I are coming back next year with my parents and all three of my sons, the week of July 8th. Hope to see you then. We had a great time on the river – it was a special treat to have you along. The stories were extremely entertaining and the crew were all excellent hosts and guides! And the Jazz was outstanding!